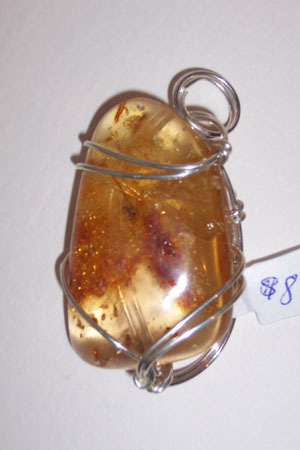 Rich honey colored Columbian amber pendant. Columbian amber is 100-3 million years old (Baltic amber 45 million). This is a beautiful, less expensive resin formation and stunning despite it's "young" age. Sculpted in sterling silver. Measures 2"x1".